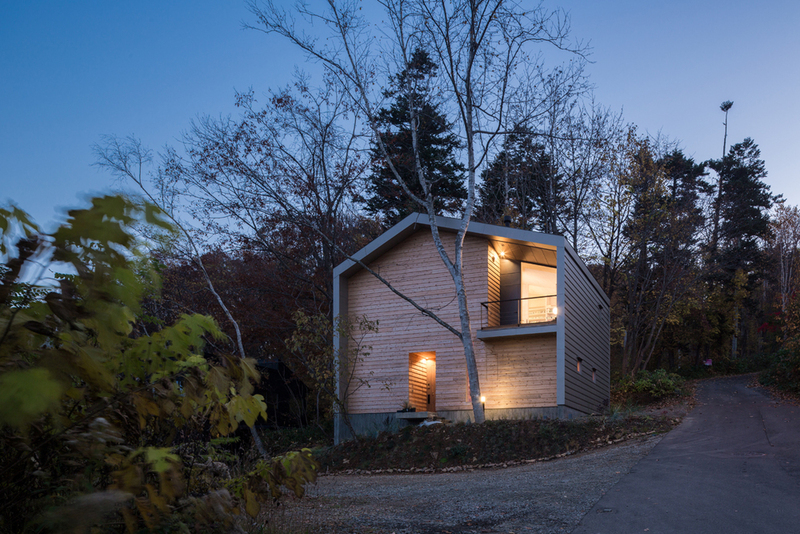 The House was built on the mountainside. There is a forest behind the site where construction is legally limited, and a view of building group of the Sapporo inner city can be seen from the front.Since the client has a job dealing with birds and reptiles, and trains the hawk in the forest which is next to the site, the overlap of the windows of forest side and street side is functioning not to see pass through to avoid collisions of birds in the window glass. As the result, "the place where only a forest can be seen" and "the place where only a city can be seen" appear in the building. The second floor with a nice view makes the path between "forest / foreground" and "city / background" centering on a stair case, and the scenery changes dramatically as resident moves. 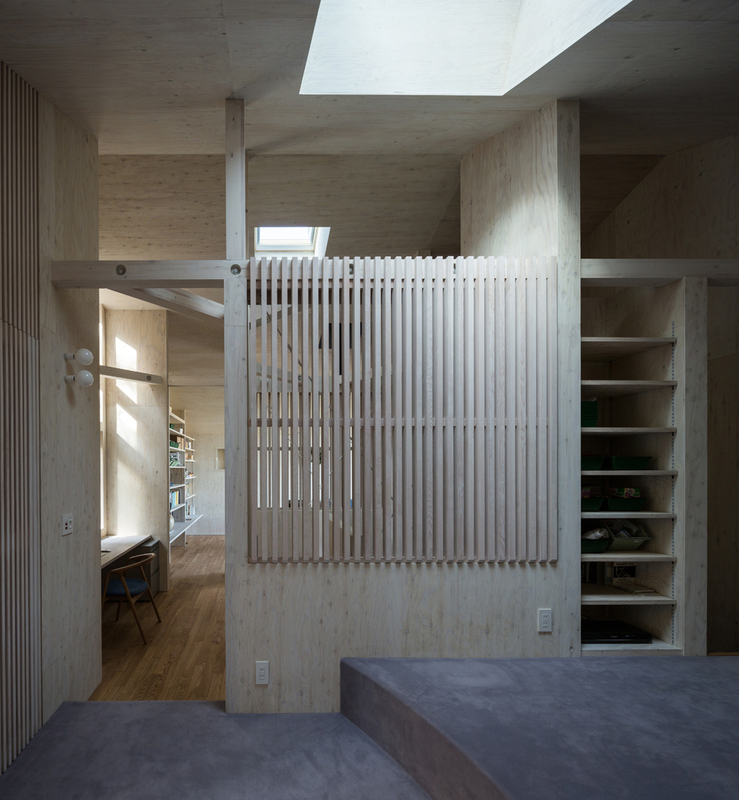 The first floor was made to have a bedroom and bathroom with the "controlled light" floating on the brown plywood finish, and also as the peaceful place for the animals. 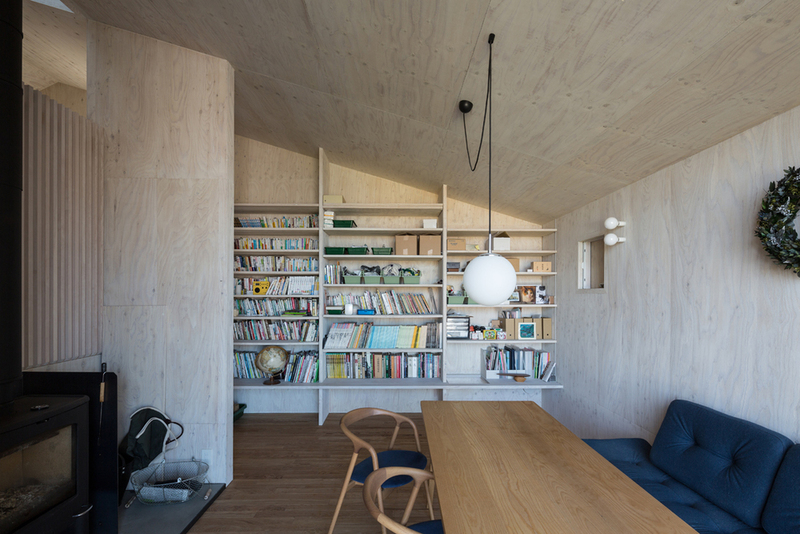 The second floor was made to be a bright and active place with a living room, dining room, and kitchen reflecting the “opened light” to white plywood. By doing so, great changing space composition was created also by the movement of cross sectional direction. 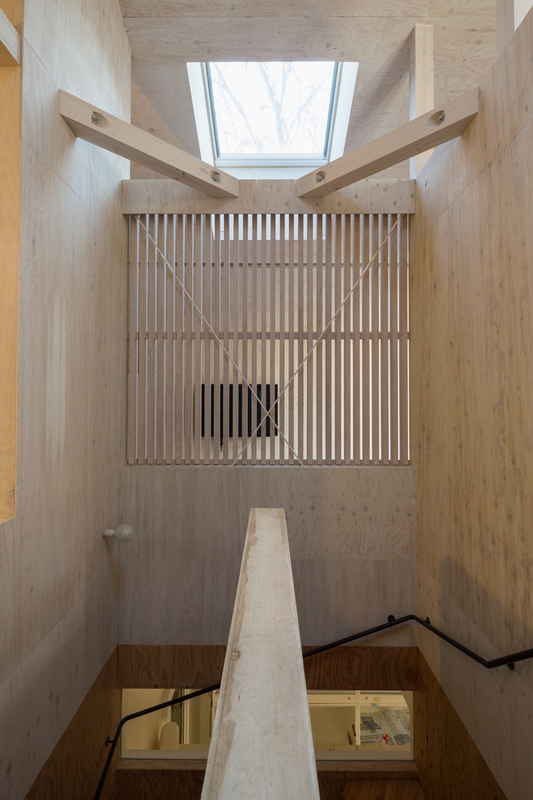 In the stair case, the atmosphere from all places through the wooden louvers, are mixed complicatedly.